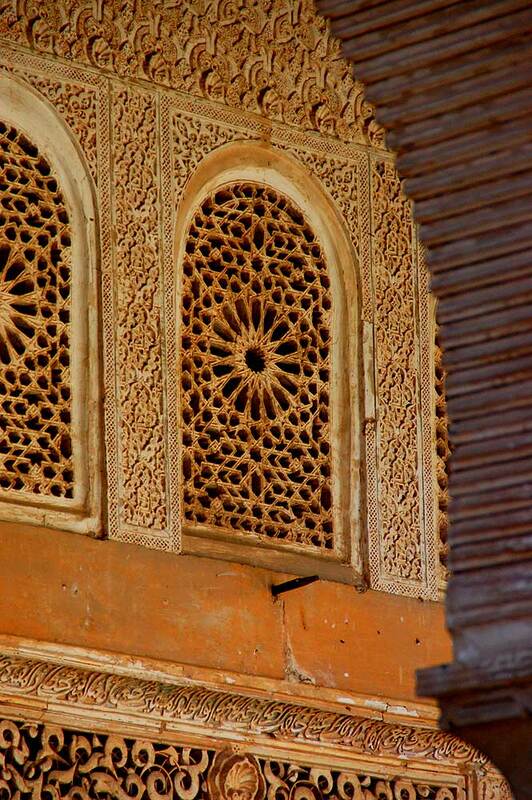 Seductive Flamenco, flowered patios, pueblo blancos, the Cordoba Mosque & Alhambra Palace highlight this trip along the Moorish route of southern Spain. Ride the route of the Caliphate. You’ll have the opportunity to visit the timeless monuments to the Moors and magnificent culture including the breathtaking medieval mosque in Córdoba and the ethereal Alhambra Palace in Granada. 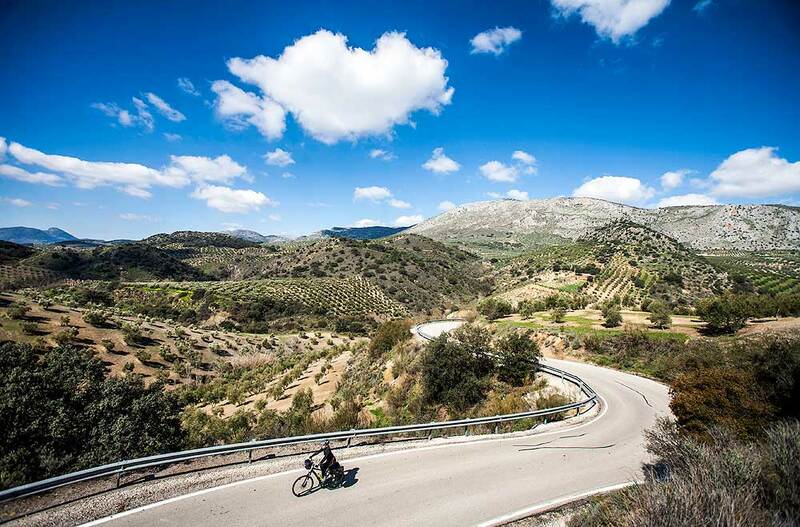 The riding is superb through endless fields of olive groves and wild flowers dotted with the pueblo blancos in the distance. 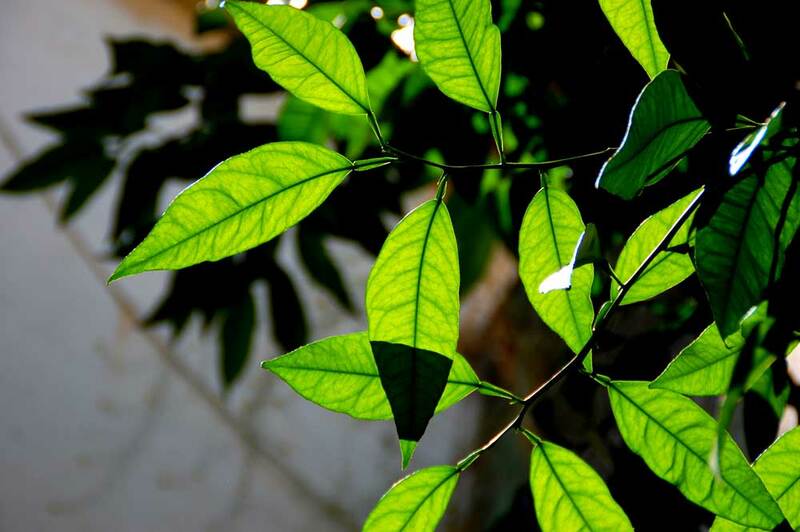 Enjoy warm evenings and dinners al fresco under fragrant jasmine. 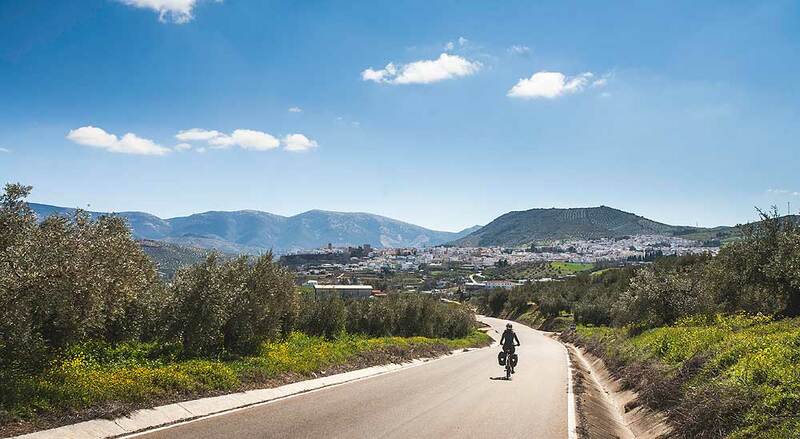 Ride past vast and fragrant olive groves that reach to the horizon on low traffic roads through farming villages and towns on your way to the foothills of the sublime Sierra Nevada mountains. Seductive Flamenco, flowered patios, twisting 'old town' alleyways and magnificent cathedrals and palaces highlight your stays along the way. You'll be able to visit the timeless monuments to the Moor's magnificent culture including the breathtaking medieval mosque in Córdoba and the ethereal Alhambra Palace in Granada. 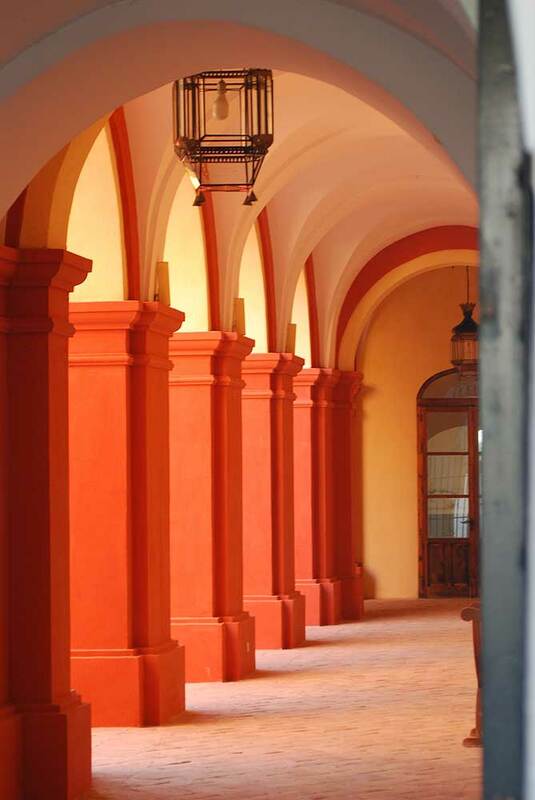 Enjoy a day in Cordoba to explore it’s narrow alleys and of course the stunning Mezquita. One of the wonders of the world and the only medieval mosque in existence. 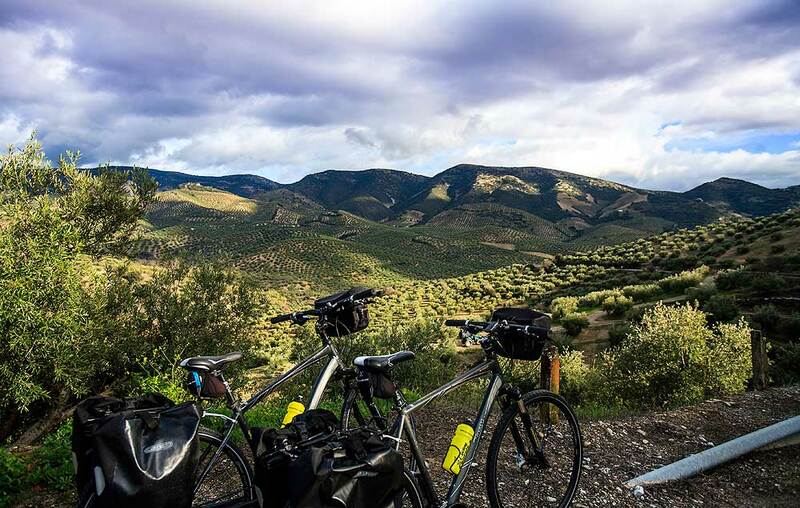 Today you cycle south into the National Park of the Sierra Subbética - a remote unspoiled region of the southern Córdoba Province. Your takes you through the very wild and sparsely inhabited area of the northern Granada Province. 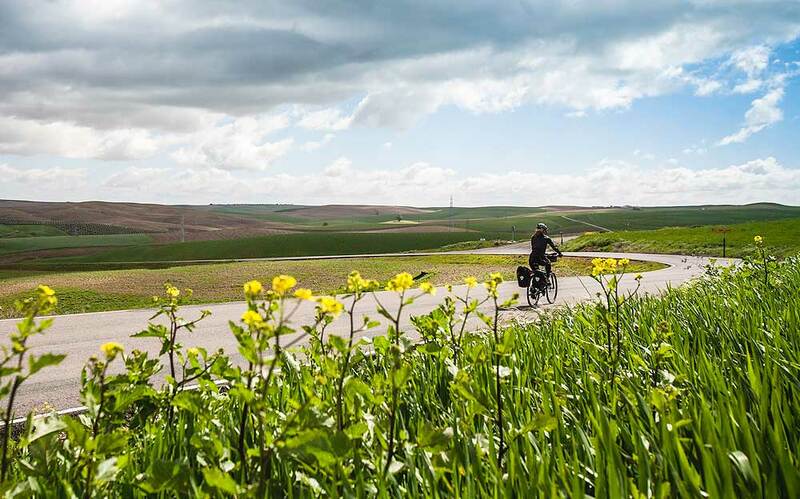 Many of our participants consider this the most beautiful ride of the trip. 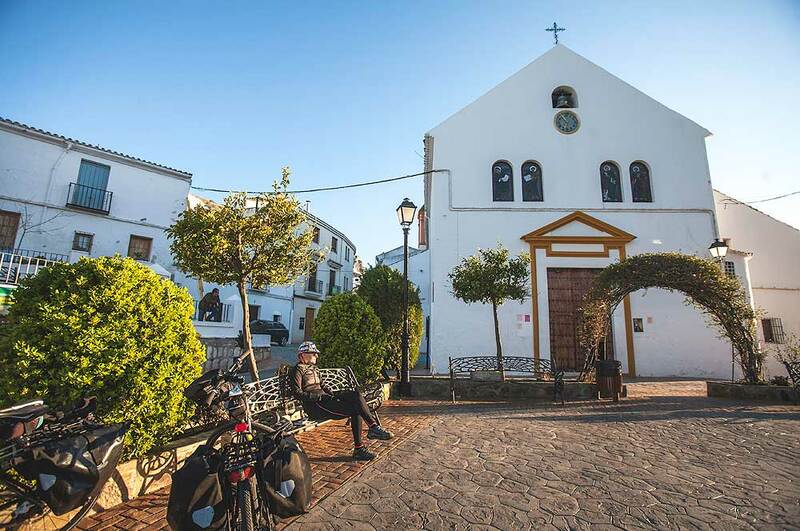 Your last day of biking as you ride toward the fabled Moorish city of Granada. Finishing in Fuente Vaqueros at the Garcia Lorca museum where you’ll be shuttled via private transfer into Granada. 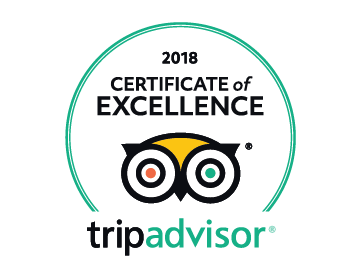 Comfortable accommodations with private, ensuite bathrooms, ranging from boutique city hotels, pueblo blancos, country manors & restored palaces - all chosen for the 3 C’s; comfort, charm and convenience to sights. All photos show the actual hotels we use. 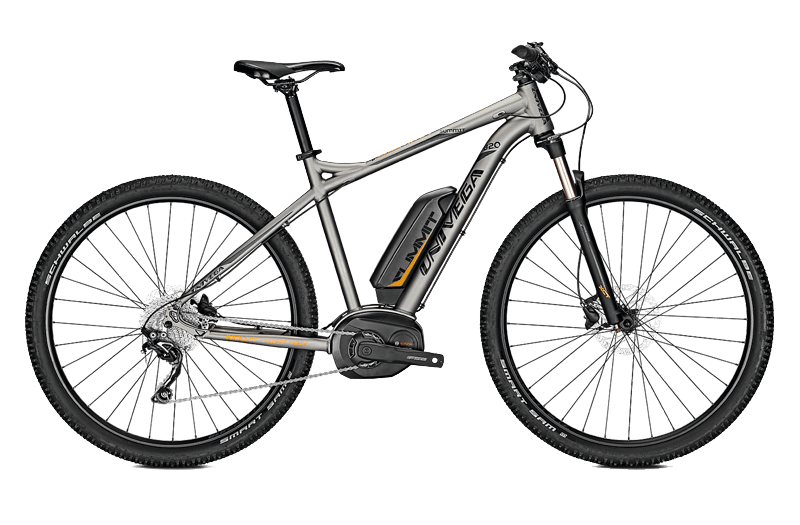 We rented bikes from Cycling Rentals for a weeklong trip through Andalucia, and had a great experience. Everything was seamless - Highly recommended!